Exploring science with kids is not only fun but a great way to teach and bond with your kids. 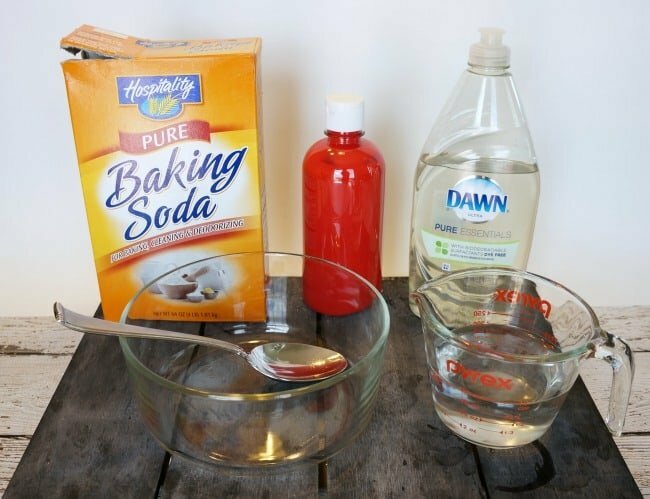 This week my youngest and I played around with the always popular baking soda and vinegar combination in these cool fall experiments for kids. They are simple enough for toddlers to try but can be fun and educational for older kids as well. 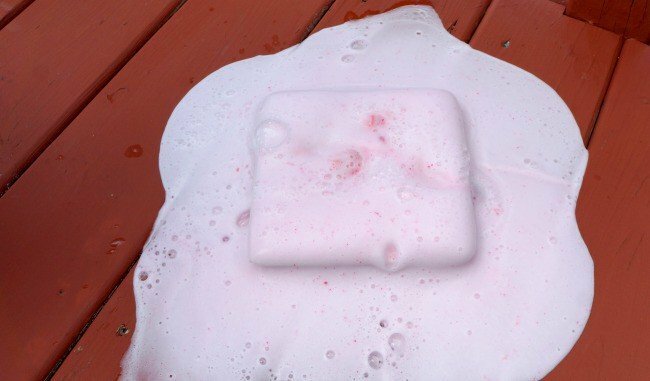 Take advantage of the cool fall weather and get outside with these experiments. 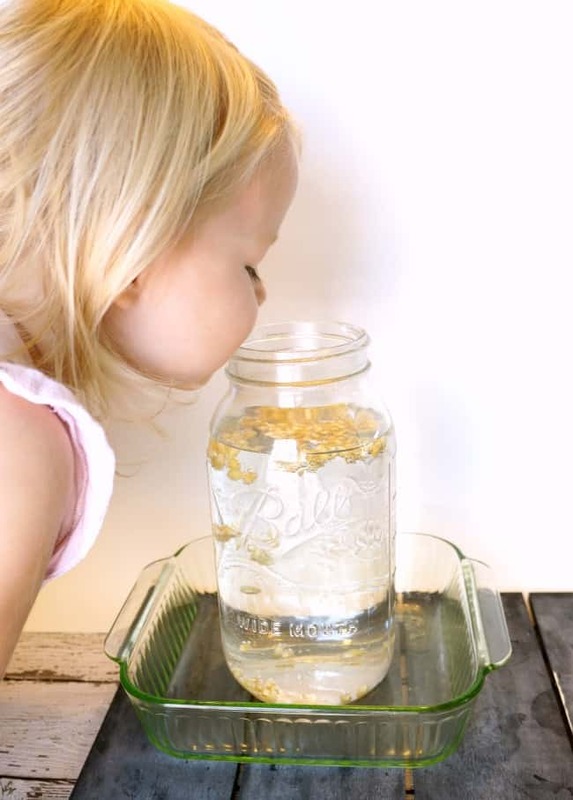 Watch popping corn dance in a jar of water. Fill the jar with water and add popping corn, then stir in baking soda. I used a quarter cup in 6 cups of water. For younger kids, you can add the ingredients and just watch the magic happen. For older kids, ask questions as you go like what they think will happen next and why did the reaction occur. 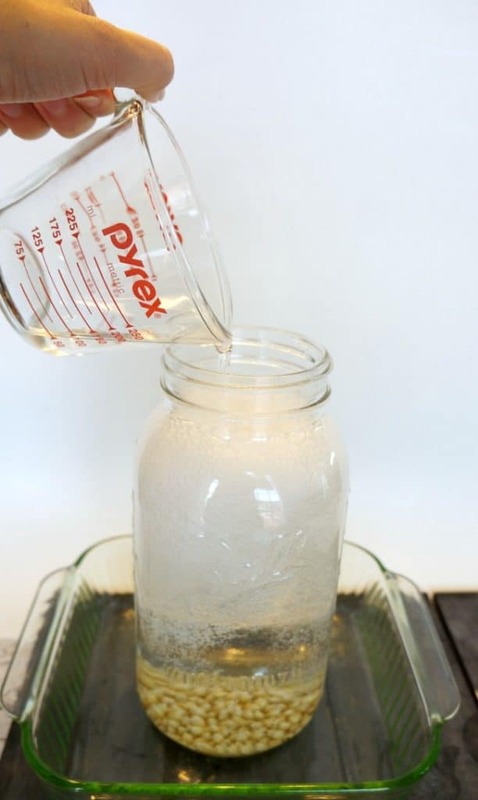 Pour vinegar into the jar and watch the reaction with the baking soda. 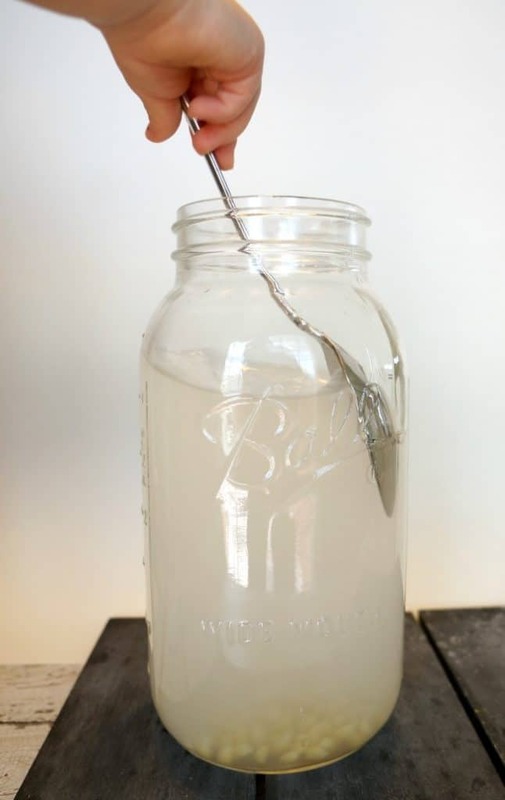 Give the jar a stir and the carbon dioxide in the water will bubble the corn to the top and back down again making the corn dance. Our corn danced for a good half hour! I was inspired to do this experiment after reading this post from Kids Play Box. These erupting apples are a lot like bath bombs, you form them into red balls to resemble apples, perfect for fall. Mix paint and water together to desired color. Then combine that mixture with the baking soda. Add enough soap until a dough forms. 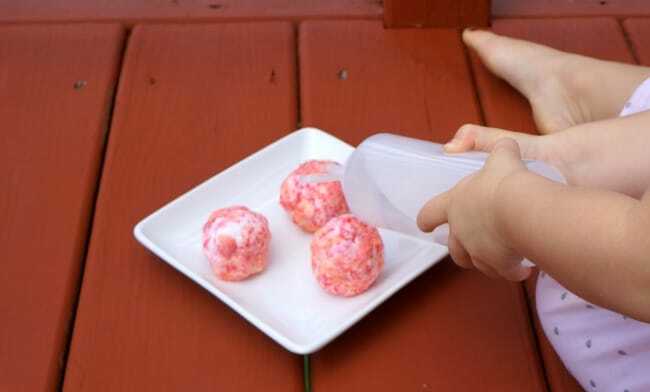 Shape into a ball and move to the freezer to set for a few hours. Set the apples out on a plate or tray outside. If doing this inside make sure there is something under the apples to catch the resulting mess. Let your kids squirt the apples with vinegar and watch what happens. This is a great time to ask older kids what they think is happening, or hypothesize what they think will happen. 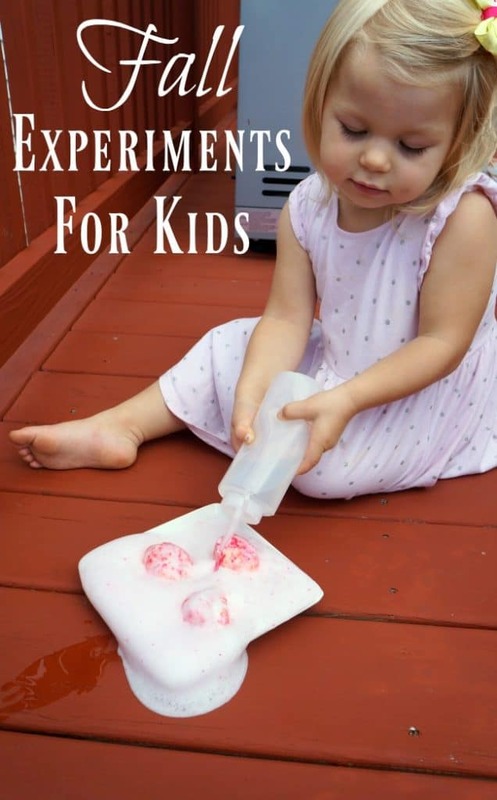 These fall experiments for kids are sure to peak your child’s interest. Get outside and have some fun with them this season.